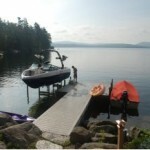 Lake Sunapee Home for Sale, Ski-Sail-Water-Ski-Hike This is the place! 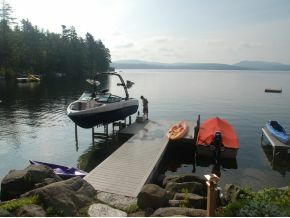 Lake Sunapee is just over 4000 acres. This year round 3 bedroom home is located on 2.3 acres for your privacy and a 2 car garage for your toys or cars. Sit on the patio at the water's edge and watch the happenings on the lake. Wide lake views plus views of Mts. Kearsarge and Sunapee - firepit - all day sun - cute year round cottage, separate building lot included - additional acreage possible. 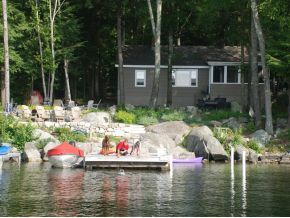 A great opportunity to grow on the lake at your own pace. Listed by New London Agency Sotheby's Int. Realty. The Sunapee area has it all except the big box stores and fast food restaurants. Enjoy your vacation time the old fashion way, just sit by the lake and enjoy the view.